The service offers you all tools necessary for smart photo adjustment. 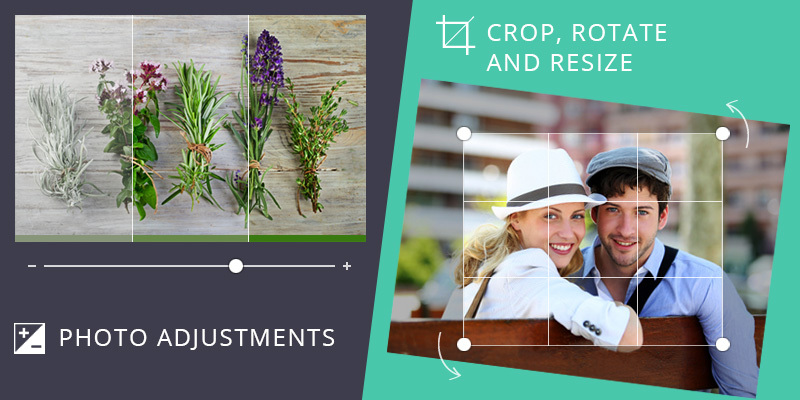 With Editor.Pho.to you can crop, rotate and resize your pics, and make more complicated operations: modify brightness and contrast or perform color and exposure correction. Besides, there is a sharpness tool which can be quite useful if you want to clarify some details of an image. There are 6 cool photo effects (and there will be more in future) which can turn your photo into a vintage picture or modernistic poster. Use the ‘B&W’ and ‘Sepia’ filters to add an old look to your photos. Besides, ‘Paint Mode’ lets you imitate a selective coloring effect. Apply the ‘Tilt-Shift’ effect to landscapes and cityscapes. It lets you turn landscape photos into faery miniatures. The ‘Pixelate’ photo effect can turn your photo into a stylish poster. Your friends and subscribers will surely like it! If you need to frame the center of your photo and distract attention from its edges try the ‘Vignette’ photo filter. To draw interest to a certain point in your picture use the ‘Focus’ photo effect and see how gently it blurs all unnecessary details. 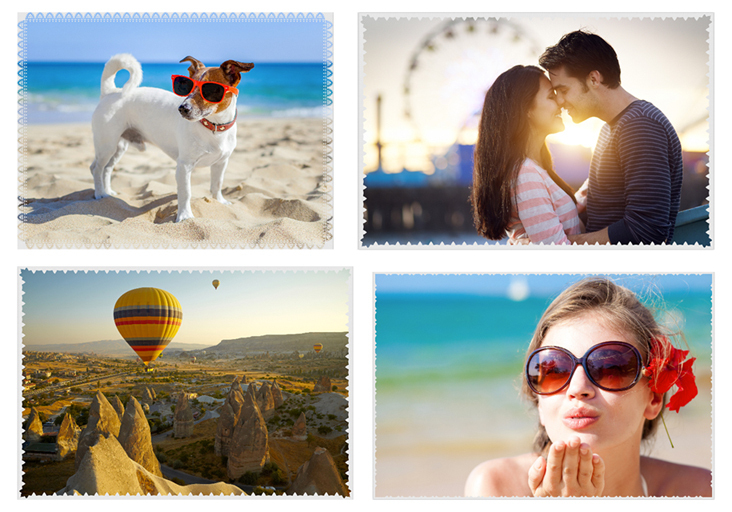 There are more than 300 various themed stickers, from love and travel to food, animals, music and even speech bubbles. And they wait for you to add them to your photos! Thus, while editing, be sure to have fun with these stickers (just as with did). These stickers look cool indeed, don’t they? 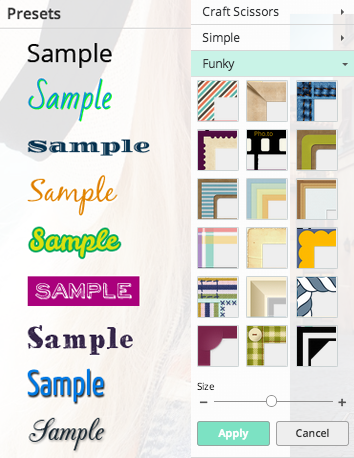 Choose between 20 customizable fonts to make funny captions. There are also many frames and borders which can be used to decorate your photos. Apply any of the ‘Craft Scissors’ frames to see how your photo borders acquire an ornamental form. Simple frames are subtle and stylish photo frames which suit any photo. 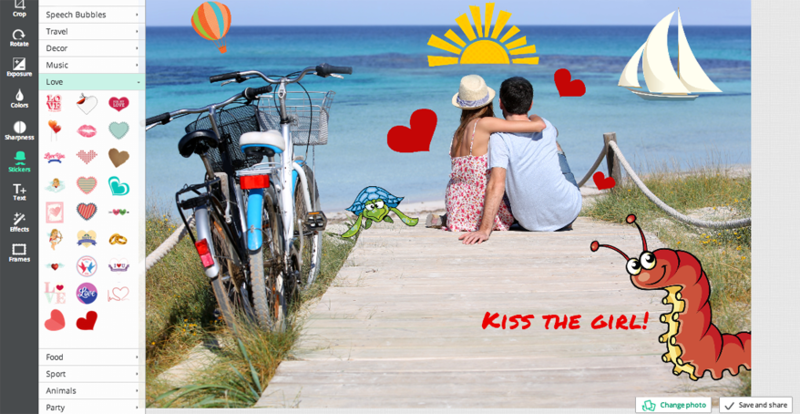 And the last but not least, check the collection of funky frames to choose a funny and colorful frame for your photo. 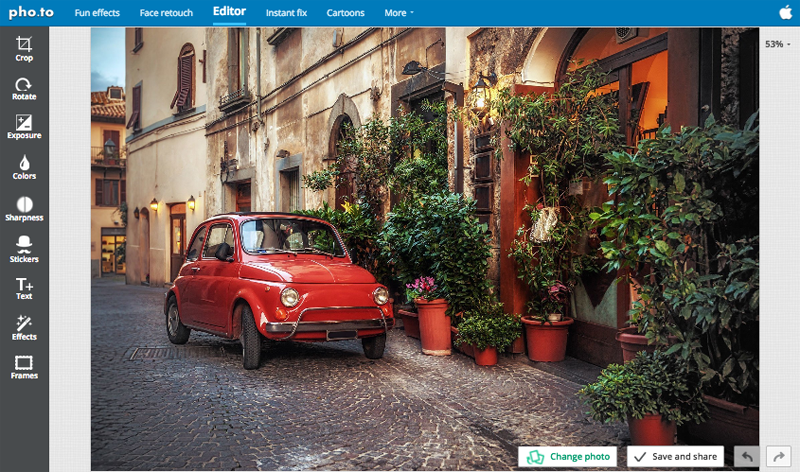 You can test the new features of our photo editor on your own photos or experiment with sample photos. Give it a try and see the fast and seamless performance. We hope that you’ll like it just as much as we do! If you to stay tuned for our news and stories, join us on Twitter, Facebook, Google+ and Instagram! How can we access the different things for the double exposure photography? And, can you make some really cool designs for music lovers? Hi Joanie! Thanks for your question! Follow this link to create double exposure effect with two photos of yours – http://blog.pho.to/double-exposure-photography/. Also, read this post to find some fresh ideas on making double exposure photo – http://blog.pho.to/double-exposure-photography/. We will take your proposal about music lovers designs into consideration, thanks for suggestion!